Holman Parts Distribution of Pennsauken, New Jersey remanufactures car and truck engines. Known formerly as RMP Powertrain Solutions, this division of Holman Automotive Group, Inc. wanted to improve the quality of cylinder liners in rebuilt engines. During a typical month, RMP was remanufacturing 1300 gasoline-powered engines made by Ford and Chrysler. 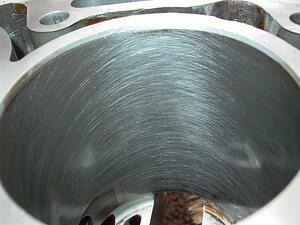 The New Jersey company was using a rigid honing machine, but discovered some problems with the final finish. If these conditions weren’t corrected, engine damage could occur. 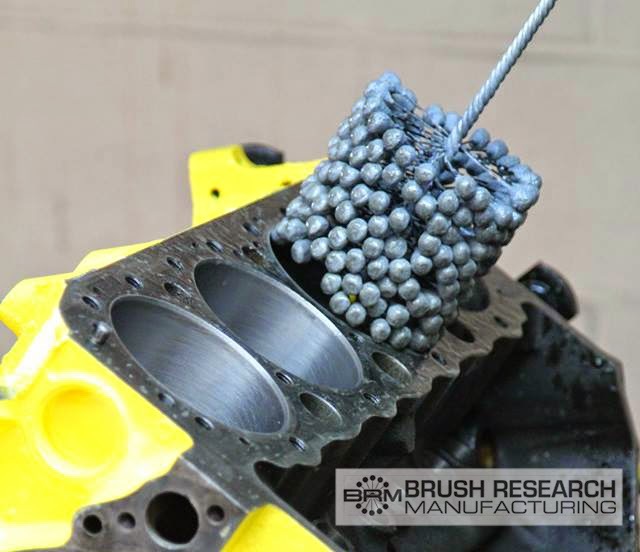 That’s when RMP asked Brush Research Manufacturing (BRM) about Flex-Hone® tools, a Made in the USA solution for cylinder surface finishing. Flex-Hone® tools impart the ideal surface finish to engine cylinders and cylinder liners. BRM’s flexible cylinder hones remove cut, torn, and folded metal that can interfere with piston ring seating and sealing. Flex-Hone® tools also impart a series of oil-retaining grooves for optimum engine lubrication and reduced friction and wear. As BRM explains in its Engine Rebuilder Case Study, cylinder walls that lack a plateau finish can contribute to increased engine pressure and, in turn, engine damage. By smoothing jagged peaks and reducing them to a uniform height, flexible honing reduces the amount of pressure between the cylinder walls and the piston rings. Flexible honing also creates a uniform series of valleys that retain engine oil. At RMP in Pennsauken, Flex-Hone® tools improved cylinder surface finish at a minimal cost. The engine remanufacturer still uses its semi-automatic rigid honing machine, but for initial honing rather than final finishing. Flex-Hone® tools aren’t designed for heavy-duty material removal, but they impart a plateau finish at a cost of just a few cents per engine. Flex-Hone® tools differ from rigid hones in other important ways, too. Unlike honing stones, flexible hones are self-centering, self-aligning to the bore, and self-compensating for wear. Flex-Hone® tools can be used with automated production equipment, but companies like RMP chuck BRM’s engine hones into handheld electric drills for surface finishing operations that are simple, quick, and easy. Thanks to Flex-Hone® technology, RMP Powertrain Solutions reported faster break-in times, better oil retention, and reduced blow-by in remanufacturing engines. In addition to improved quality, RMP and now Homan Parts Distribution are also using Flex-Hone® tools to finish master cylinders. Are you ready to learn more about flexible honing? Then get the ultimate guide to Flex-Hone® success. Learn about proper tool selection, suggested RPMs, stroke rates, and so much more. Download the Flex-Hone Resource Guide.